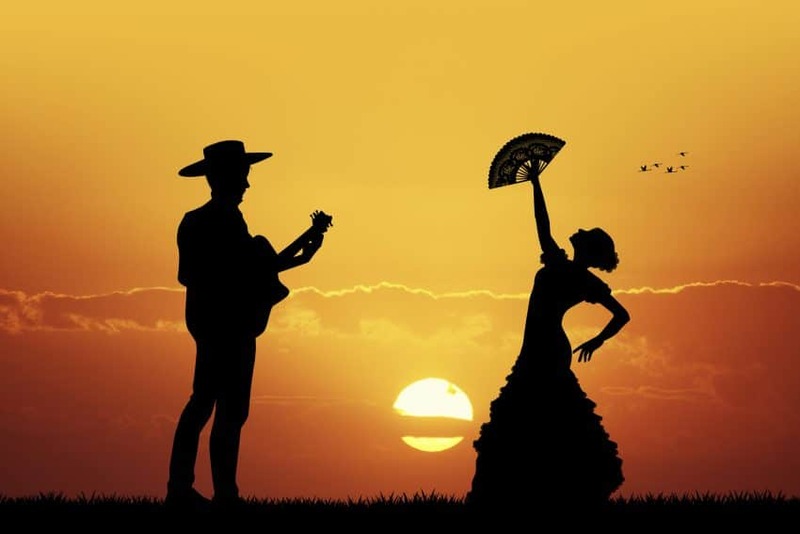 Flamenco dancing was originated in a region called Andalusia in Spain. This type of dancing is native to the Andalusian people. Also, it is influenced by other cultures such as Sephardic, Moorish, and Byzantine. 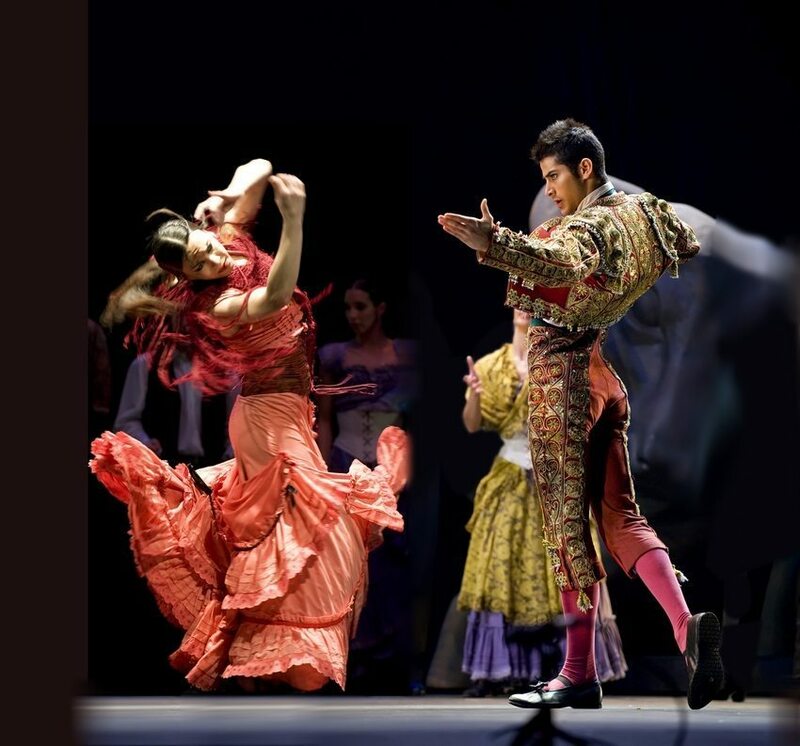 The influences of the different cultures in the flamenco dance happened during the 1400 A.D. The term flamenco was not mentioned in any archaeological source until the 18th century. Flamenco dancers are well known among the gypsies in Andalusia. 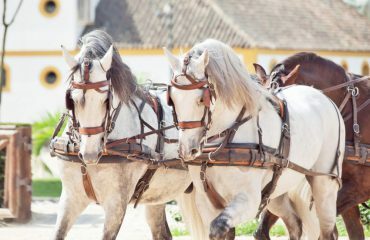 The gypsies that lived in Andalusia are also known as the Gitanos. The people that live with the gypsies are also familiar with this dance. The contribution to the development of the flamenco dance happens in Extremadura and Murcia. This type of dance also incorporates influence from the culture that belongs to countries outside Andalusia including Cuba. Many musical dances and styles are derived from the Jewish and Moorish societies. The golden age of flamenco took place in between 1869 – 1910. During this period, this type of dance was performed at the cafes. People who want to watch the flamenco dance are have to pay for the ticket charges. 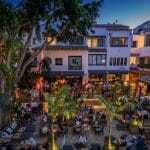 Later, more and more cafes that offer the flamenco dance show are opened. This type of dancing is very popular during the Roman Empire. Roman writers such as Pliny and Strabo made many statements about the Cadiz performing the flamenco dance along with the castanet. Traditionally, this type of dancing is performed to a small group of people. Modern dancing is performed to a larger audience. The flamenco festivals are held during the summer in Andalusia. During the flamenco festival, the local people will dance spontaneously. When performing this dance, the women wear different kinds of costumes. Th costumes are usually black or red in color. Some women also wear white and navy blue dresses. The dresses are equipped with many ruffles and high heel shoes. The men will wear tuxedo and stretchy pants during the flamenco performance. There are three types of this dancing including guitarra, cante and baile. The cante and baile dance styles have many similarities. 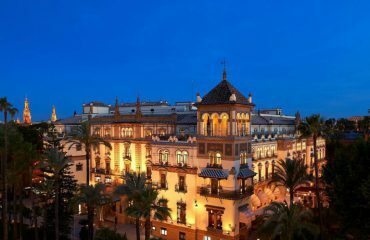 Many flamenco schools were established during the 1800 in Seville. This type of dancing is not accompanied by music instruments. Instead, the people would sing and clap the hands. In this type of dancing, the dancer performs the dancing steps based on his or her emotions. The dancers may shake their body or kick their feet high to express their emotions. Sometimes, the dancer may lose control of their emotions through this dancing. Nevertheless, the flamenco dancing is always performed with grace and precision. 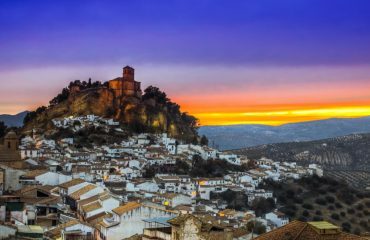 The origin of flamenco guitar as we know it today dates back to the 18th century in Andulasia(Spain). The music evolved from the Gypsies and Andulasian musicians sharing their talents. It’s defined by its trademark rhythmic, melodic and harmonic elements. It is known for the accompanying dance, the rhythm of movement. Ramon Montoya is considered to the founding father of modern flamenco solo guitar. He lived from 1880-1949. He had a great impact on the genre. Paco de Lucia is one of the most popular modern flamenco guitar players. His style sometimes crosses over to jazz. Jazz and flamenco share the mutual element of improvisation. Another famous guitarist is Jose Feliciano. This blind musician played many flamenco songs. There are many choices if you want to learn this style. There are excellent books, DVDs, CDs at your disposal. 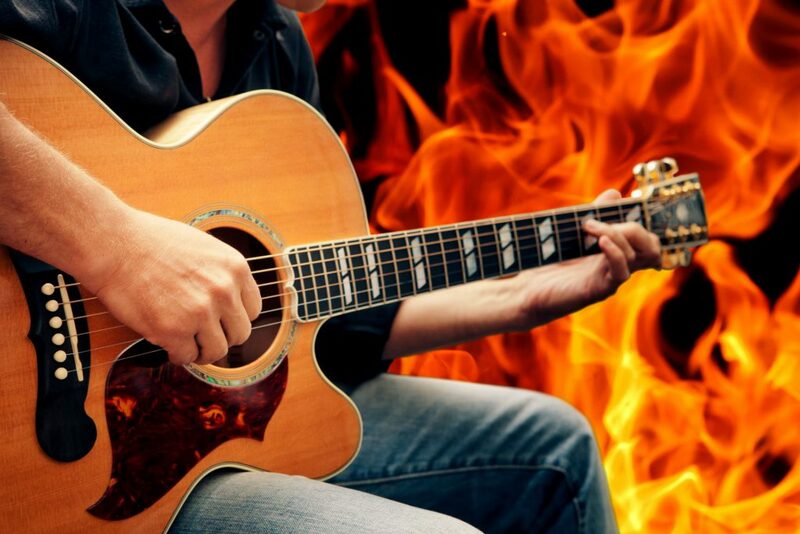 You shouldn’t have a problem with finding an experienced guitar teacher. Online lessons are also something you shouldn’t overlook. With a little research, you’ll find the right training. If you’re serious about studying how to play the guitar, one of the first and most important steps you must take is to buy a guitar. This can be quite the challenge to the novice guitarist who has no idea what to look for. The average flamenco guitar is priced at around the eight hundred dollar mark, so this is an investment, and you want to shop wisely. To choose a guitar before starting on your first Flamenco guitar lesson, these are a few things to keep in mind. If you’re shopping for a new guitar for your Flamenco guitar lesson, setting a budget for yourself is one of the first and most important steps. The prices of guitars these days can vary quite significantly and so it’s important to be aware of how much money you can spend without putting yourself out. Besides the price of the instrument you also want to consider the personal appeal, because you want to find a guitar that you actually like. 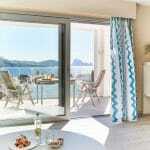 This will also help by significantly narrowing down the selection and bringing you that much closer to making a choice. Make sure that the guitar is properly sized for your body. You don’t want a guitar that is going to be sized inappropriately for your body, so be aware of this when shopping. Many guitar stores only stock larger guitars so if you’re smaller in size you may have to check around to a few specialty stores before finding one that works for you. One of the most important tips for buying a guitar for a Flamenco or any other guitar lesson for that matter, is to beware of bundling. If you see any bundling offers when shopping for your guitar, beware. Retailers will often bundle up a guitar with accessories such as picks, guitar cases and instructional DVDs to lure the consumer in. In some cases you can actually try a guitar out before buying it and even if not, at least pick it up and practice strumming it. At least pick up the guitar and hold it before buying, to see if it’s comfortable to hold. Taking the time to read consumer reviews will be more than helpful if you’re looking for a guitar for your next Flamenco guitar lesson. This gives you the opportunity to see what other avid guitarists just like you had to say about a particular model. Shopping for a guitar for a Flamenco guitar lesson can certainly be a challenge but with these tips you shouldn’t have much of a problem. Once you have your guitar you can get started with your Flamenco guitar lesson and become really skilled at it.